My little one really loves pastry, especially if it is crisp and flaky. I, however, am not so much of a fan of the clear up operation after the meal! It really does seem to get everywhere. If, like my daughter, you also prefer your pastry crisp rather than soggy, make sure you allow the filling to cool before topping with the pastry. 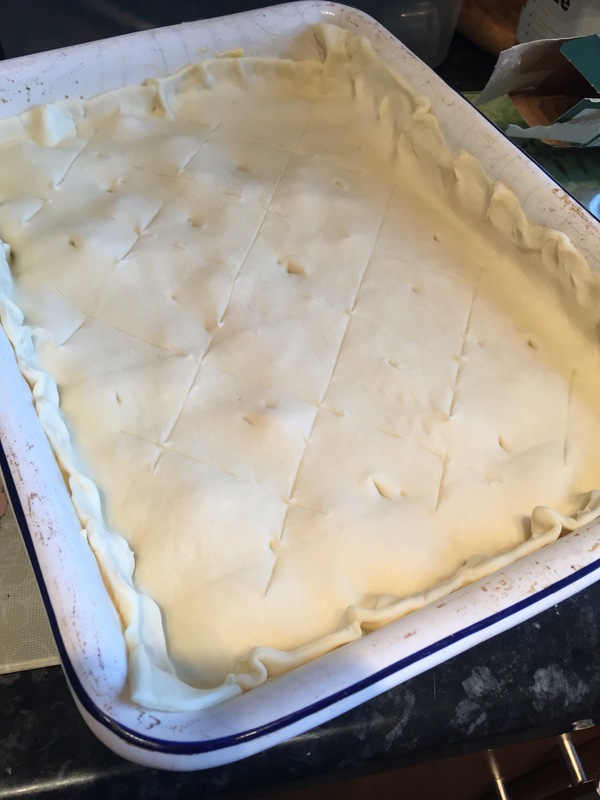 The chilled pastry ‘melts’ when it comes into contact with a hot filling, so it’s worth taking the time to allow the filling to cool. Aside from being a hit with my daughter, it’s also a hit with me. 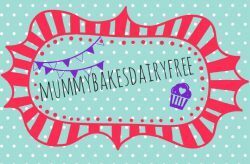 Recipes which use calcium enriched dairy free milk, such as Oatly, are a great way to get extra calcium into my daughter’s diet. 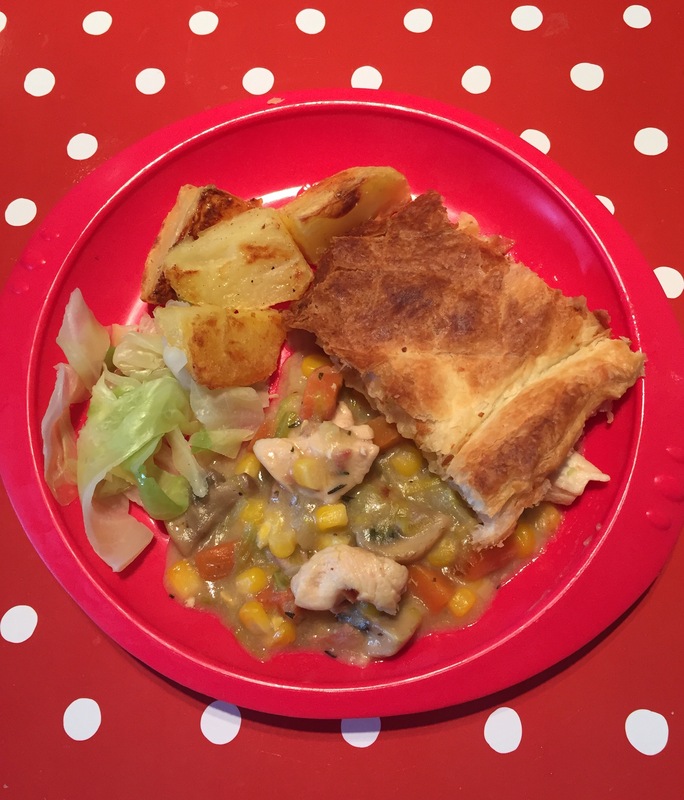 I’ve used it in a few other recipes on my website: dairy free white sauce, fish pie, beef stroganoff, vegan pancakes and more! 1 pack of ready to roll puff pastry, I used JusRol. I didn’t use the whole pack. It will depend on the size of your dish. 1. Heat the oil in a large pan over a medium heat. Add the chicken and brown. Remove the chicken from the pan for later. 2. In the same pan cook the onions, carrot, leek and mushrooms until soft. Add the rosemary, thyme and dairy free spread. Reduce the heat and stir until the spread is melted. 3. Stir in the flour, coating the veg and cook for a couple of minutes. Then gradually pour in the stock, stirring over a low heat. The sauce should start to thicken slowly. Do the same again with the milk. 4. Return the chicken to the pan and increase the heat to a boil, then reduce. Allow the sauce to gently bubble for 25-30 minutes. 5. Once cooked let the sauce cool. Remove the pastry from the fridge and pre heat the oven to 200c. Lightly grease your pie dish with some dairy free spread. 7. Pinch the edges of the pasty and lightly brush the top with a little dairy free milk. You could use an egg wash if you’re not egg free like us. Pierce a couple of air holes in the pastry lid and pop into the oven. 8. Bake for about 30 minutes. I check half way through and cover with tin foil if the pastry starts to get too dark. 9. Remove from the oven and serve with roast potatoes (I prefer mash but little one is on a mashed potato boycott at the moment) and cabbage. Dairy, egg, nut and soya free. Could be gluten free too if the flour and pastry were swapped for alternatives.